This past weekend my husband and I decided to get out of the city. 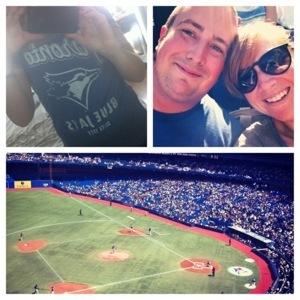 We packed up the car as headed out to Toronto to see some friends and catch a Blue Jays game. 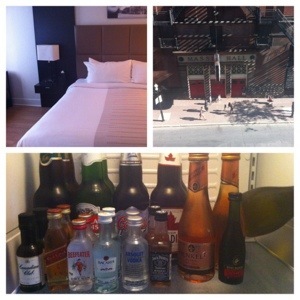 We arrived Friday night at Pantages a lovely little boutique hotel downtown. 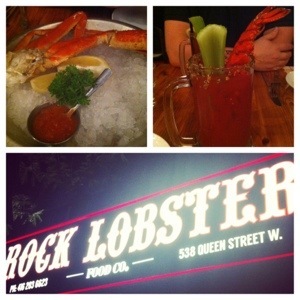 It was right across the street from Massey Hall and was definitely a good find. After a nice meal and some drinks we called it a night and headed back to the hotel to rest up for the baseball game the next day. I am not much of a baseball fan but we were lucky enough to catch a pretty exciting game and we got to see the Jays win! After the Jays game we met up with some friends to check out some local craft breweries and partake in some tasty foods. It was great seeing everyone and checking out some new sights. Now we are back home and settling back into home life, the kittens are definitely happy we are home. 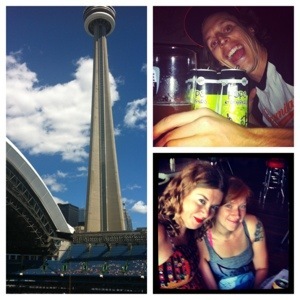 This entry was posted in General and tagged Baseball, blue jays, Toronto, vacation, visits by healingginger. Bookmark the permalink.